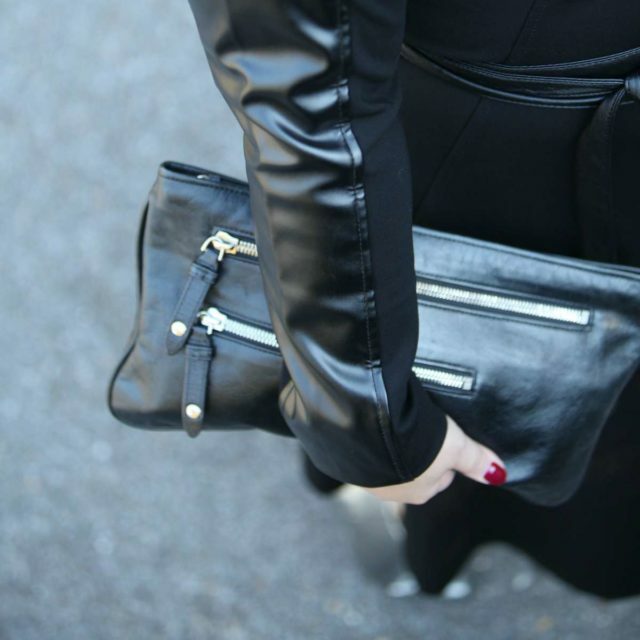 One of my favorite reasons for fall is leather! 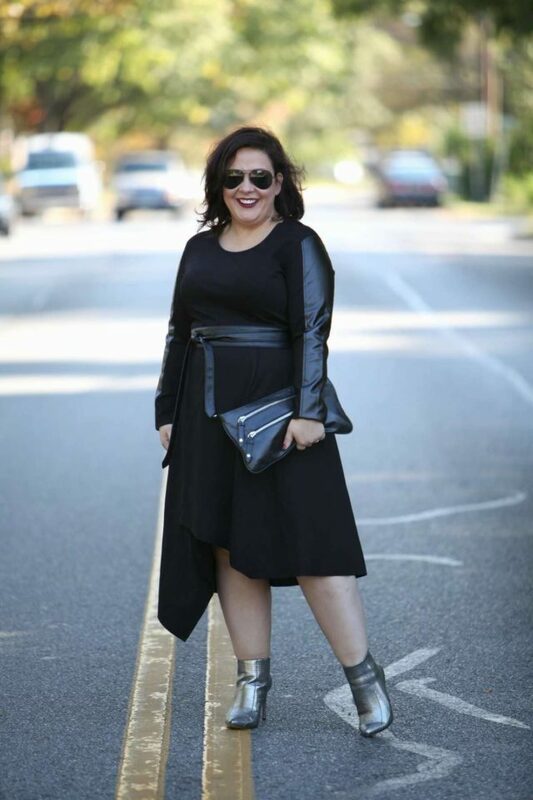 Tall boots, biker jackets, leggings, and leather trim on everything. 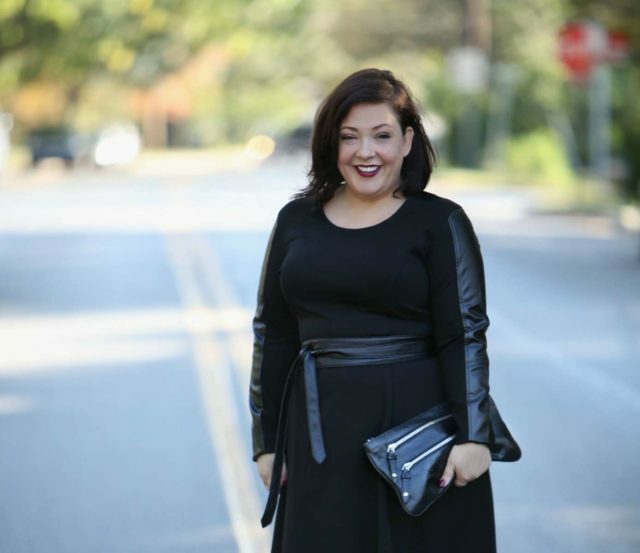 So when Stella Carakasi sent me their The Ultimate Dress with its washable leather sleeve panels I swooned! Come winter I'll likely wear it with tights and knee-high boots but for today I decided to get a bit sci-fi with the silver snakeskin booties I picked up last year. I added an obi belt in my collection to cinch the waist though the dress looks pretty cool on its own. I picked up this leather bag at a Hobo warehouse sale five years ago (look at little Emerson at the sale!) for only $25 and it is by far the hardest working clutch in my wardrobe! Previous Post 20% off Luxury Beauty at Amazon Today Only! The dress is really nice. Have to agree that the asymmetric hemline is super flattering. What really takes the outfit to the next level is the belt, though. It really makes the whole thing work perfectly. Such a great dress and I love how you have styled it. Pinning!! Only one word for it … smoking! I will! I wore them last year with dark denim bootcut jeans and grey skinny jeans. Just this week I wore them again with the grey skinny jeans and the sweater in this post: http://www.wardrobeoxygen.com/2016/04/what-i-wore-stella-carakasi-over-40-fashion-blog.html but I hope to feature them again soon! Could be the most stunning outfit I’ve seen you wear. You are gorgeous. Oh thank you so much Cynthia! Spectacular was the first word that came to mind! 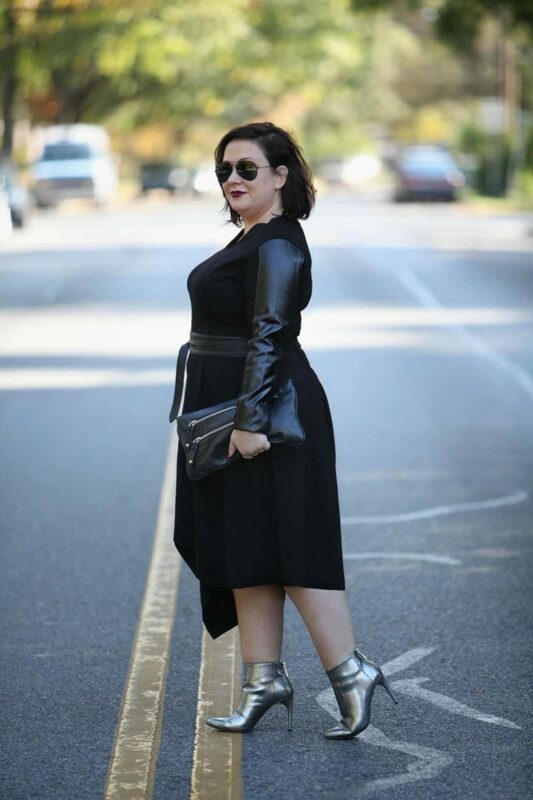 That is an incredible statement dress and the silver booties are divine! I love this dress on you. So pretty. I do think the asymmetrical hemline of this dress makes is quite spectacular Allie! 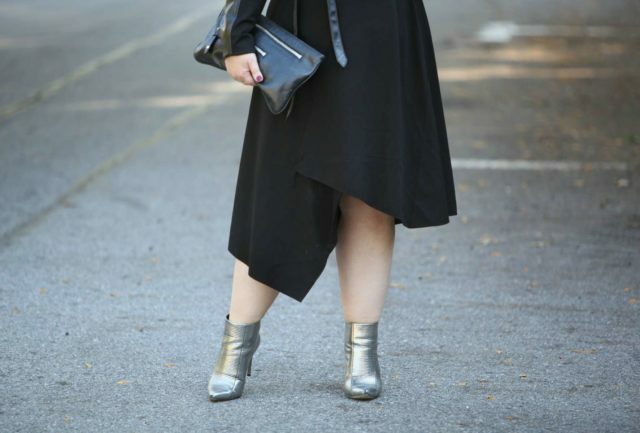 And I love that you went with your silver booties! !